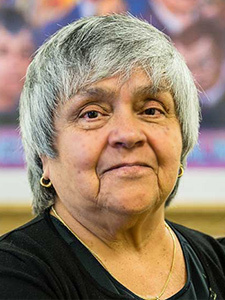 In the 1980s, Carmen Velásquez, Alivio’s founder and former Executive Director, and Dr. Ann Garcelon, a colleague of Ms. Velásquez who was affiliated with Mercy Medical Center, were involved in issues surrounding access to healthcare for Spanish-speaking people. Ms. Velásquez found that few Spanish-speaking patients were being served at Mercy, which was located in close proximity to Pilsen. The healthcare of these families was severely neglected because they were uninsured and undocumented, making them afraid to access care where no healthcare providers spoke their language. Troubled by the fact that so many Mexicans living in Pilsen, Little Village and Back of the Yards did not have access to healthcare, in addition to a void of Spanish-speaking providers serving the community, they approached Sister Sheila Lyne, Mercy's CEO. Fortunately, Sister Sheila supported the creation of a community health center to address the issues of access to healthcare. The work of Alivio Medical Center was then initiated. As a result of the passionate vision, strong partnerships and the crucial need for bilingual/bicultural medical providers for the uninsured and undocumented, Alivio Medical Center opened its doors in 1989 as a bilingual, bicultural, nonprofit community health center, located in the heart of the Pilsen community. Today, Alivio Medical Center operates one urgent care center and six community health centers, three of which are school-based health centers.